Caleta de Fuste or El Castillo as some people know it, is a popular resort situated very close to the airport in Fuerteventura. The town is found on the east coast of the island, sort of in the middle, so it has a great position if you want to explore and discover more places while you are on holiday. The resort has a great beach, ideal and safe for kids, so it's a popular choice among families. You will find here lots of restaurants with various types of food, from typical Spanish restaurants to Italian, Portuguese and also Asian food. The beach in Caleta de Fuste has been under major renovation for some time and it has been expanded, plus the promenade also was extended. 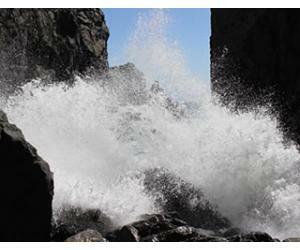 The water in Caleta is usually calm and ideal for swimming and families with small children. You will not have to worry about waves, since the beach is protected and you also have plenty of opportunities for water activities. There are plenty of restaurants and shops close to the beach. Even the popular restaurant La Frasquita was reopened recently, after being demolished during the renovation of the beach. So if you're looking for a relaxed and chilled holiday, where you can get a nice tan, Caleta de Fuste will offer the ideal conditions and a lovely beach where you can spend an entire day. There are two weekly markets happening in Caleta de Fuste and it's a great way to spend a few hours looking for souvenirs. 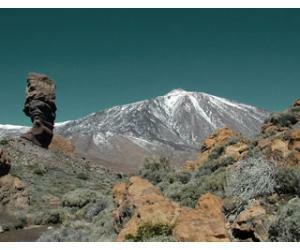 If you want to explore more, check our list of markets in Fuerteventura. 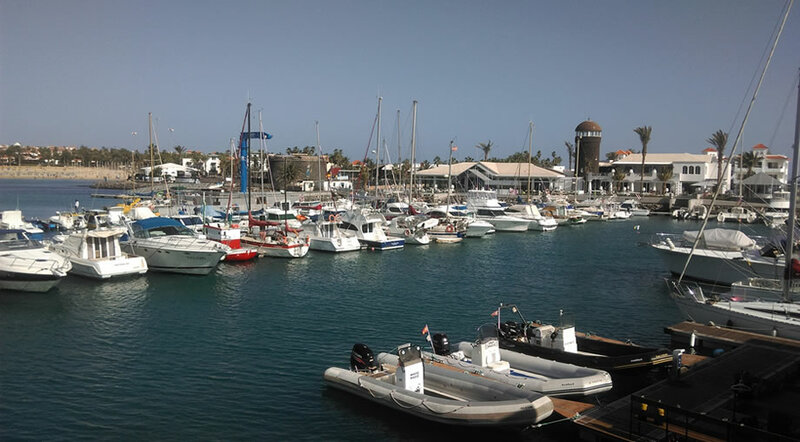 Caleta de Fuste is situated very close to the capital, so you could go there if you want to see a real town in Fuerteventura, not just a resort. 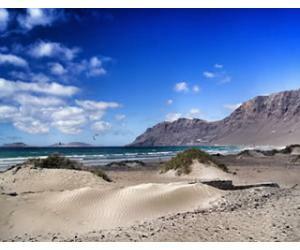 We made a list of things to do in Puerto del Rosario, in case you decide to go. It is easy to get there if you have a car rental, but also by bus, so check the bus schedule before you plan to go. If you're traveling with kids you should definitely go and visit Oasis Park, the only zoo in Fuerteventura. They have lots of animals and shows, so better go there early if you want to have time to see them all. 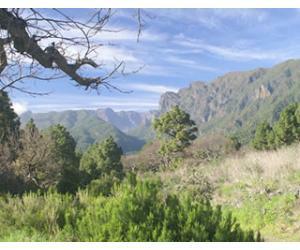 It is a 45 - 60 minutes drive towards the south, in La Lajita, or you could take one of the free shuttles they offer. This museum is situated very close to Caleta de Fuste, so you could even walk there and it would take you around 1 hour. It's interesting if you want to see how salt is extracted and after visiting you can have lunch at Restaurant Los Caracolitos, situated in the vicinity of the salt museum. They have good food and a lovely view, right in front of the beach. Fuerteventura Golf Club is the first 18 hole golf course on the island, venue in which the Spain Open tournament was held in 2004. It was designed by the renowned Juan Catarineu. Prices start at 52 Euro for visitors for the 9 hole course and 75 Euros for the 18 holes course. Besides the small shops full of souvenirs and the weekly markets, you also have Centro Comercial Atlantico, with lots of brands and shops where you can find all you could need. 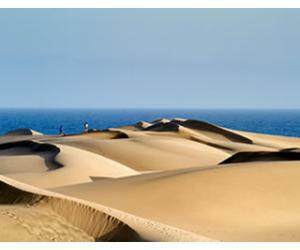 Read more abot shopping in Fuerteventura in our dedicated article. A unique experience in Caleta de Fuste and in Fuerteventura as well - swimming with the sea lions at Oceanarium Explorer. You can also buy a small bag of food to feed the sea lions, or if you wish to explore more of the ocean you can book a trip by submarine or catamaran. There are even more activities available for kids and adults as well: for children there is an inflatable which has proven to be lots of fun and kids can spend hours bouncing and playing around it, plus for adults there kayaks and hoverboards for hire, so plenty of choices if you're looking for things to do in Caleta de Fuste. Caleta has many great restaurants, but 2 come to mind for us every time we think of our time spent there: La Frasquita and O'Fado. La Frasquita has a huge history behind it, as it was the first restaurant in Caleta de Fuste, when the place wasn't even a tourist resort yet. THe restaurant has been rebuilt and reopened in 2017, as it had to be moved due to the new promenade. They offer fresh fish and seafood and you should go at least once while on holiday in Caleta de Fuste. O'Fado, as you can suspect by its name, offers typical Portuguese food, so not quite specific to the Canary Islands, but tasty nonetheless. It's usually busy and you have to book in advance for dinner, as it is a pretty popular restaurant. Since you're on holiday, what can be more relaxing that a massage, with chillout music in the background offered by a professional team? There are several options for a massage in Caleta de Fuste, best of which are either at the SPA from the Barcelo Thalasso SPA Hotel or at Sould Massage, at a more reasonable price and with a friendly staff that will make the entire experience a great one. The Wally Trolley as the locals call it, is a fun red train that goes around the resort and has various stops throughout the way. A ride costs 2 euros per person and you pay directly to the driver. This is a nice way to get to know the resort and get a feel of where things are, or it could also prove a life saver on extremely hot days, when you don't want to walk around in the midday sun. 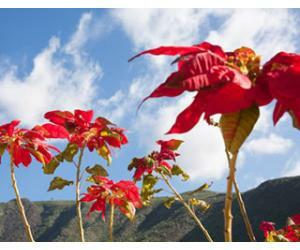 Throughout the year there are lots of events in the resort, which is to be a expected from a holiday destination. The largest event of the year is the yearly carnival in Caleta de Fuste, sometime between February and March (the dates differ each year). There are other events also, including a beach party, craft fair, Oktoberfest and many more. They are usually announced a week in advance (sometimes more, sometimes less), so you should check our Events page regularly in order to find out what's happening during your visit. The carnival date is the only one that is announced months in advance. As you see, there's plenty of things to do in Caleta de Fuste, which should guarantee you a fun holiday on top of a great tan. Still not sure what to do while in Caleta de Fuste? Go out on day trips from Caleta de Fuste and explore the island! As a resort, Caleta de Fuste has the advantage of its position, sort of "in the middle" of Fuerteventura, so you can easily go on lots of day trips and get to know the island. Corralejo is the northernmost resort on the island and in order to get there you will go past Corralejo Grandes Playas and the dunes, a phenomenal place where you should definitely stop for a few hours. The town of Corralejo itself is very lively and full of nice restaurants, so go for a drink in Music Square and enjoy the lovely view and atmosphere. 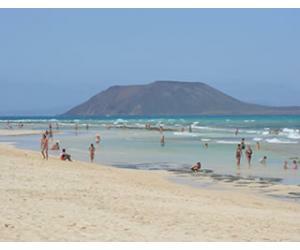 Morro Jable and Costa Calma are situated towards the south of Fuerteventura and here you have the beautiful beaches of Jandia, including the famous Sotavento beach, which you will see on lots of postcards. In Morro Jable you can spend some time at the beach, or explore the old town and its shops and restaurants. If you have a rental car you should allow one day to explore the beautiful lagoons of El Cotillo and also visit the small fishing village while you are in the area.